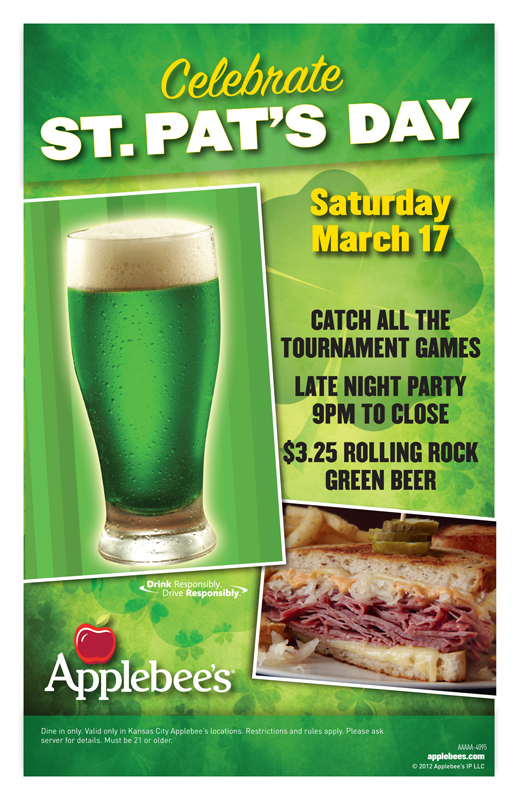 This Saturday, March 17, 2012, Kansas City area Applebee’s restaurants are hosting a late night St. Pat’s Day Party. Admission is free. This event includes food specials and $3.25 Rolling Rock green beer. The party runs from 9:00 p.m. to midnight. In the Kansas City area, there are several Applebee’s locations.